Discover the history of Paris, from its very beginning to the impressive city planning works of King Henri IV, all encapsulated in the beautiful Place Dauphine on the Ile de la Cité. The Île de la Cité truly is the historic heart of Paris. It is a small island where the city was founded by a Gallic tribe called the Parisii, and it has always been the very center of Paris. 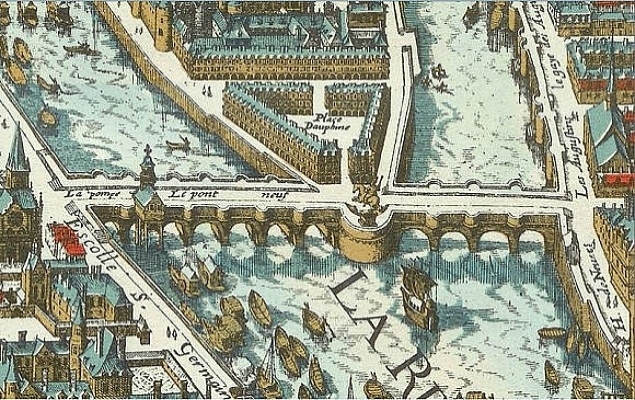 This is “Kilometer Zero” of Paris, where Notre Dame was built, where the Kings of France lived until the Louvre was built, where the last Templar Knight was burned at the stake, where St. Louis carried the Crown of Thorns to Sainte Chapelle, where Marie Antoinette was imprisoned at the Conciergerie. 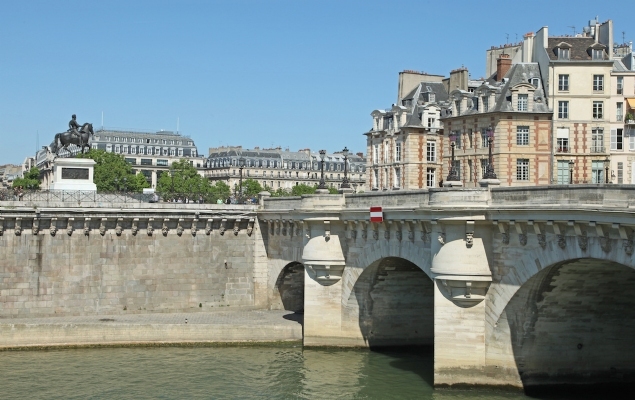 This remarkable island is where Place Dauphine is situated, making it a unique setting for discovering the history of Paris. 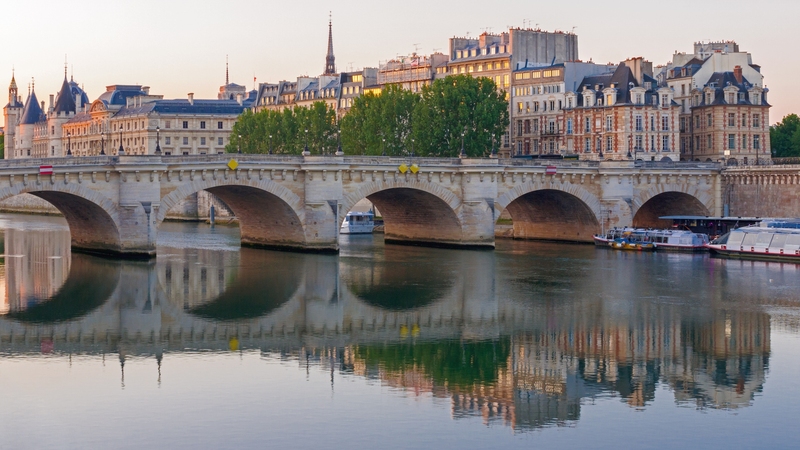 Located at the very tip of the Île de la Cité, Place Dauphine dates from the time of King Henri IV, who is immortalized in the equestrian statue on the Pont Neuf nearby. Built in 1607 at the order of Henri IV, Place Dauphine was named after his son, the Dauphin of France, who would later become King Louis XIII. Remarkably, Place Dauphine was built for the emerging merchant class to purchase rather than the elite classes like Henri IV’s other notable civic project Place des Vosges. The properties were quickly bought up by scientists and goldsmiths who built laboratories and shops. All leading advances in science and technology were discovered here: medical technology, photography, watch making and more. Marie Antoinette and Napoleon Bought the first Piguet watches in their shop, which was located on Place Dauphine. The history of Paris can still be felt as you stroll through Place Dauphine. It’s the perfect spot to reflect on the dramatic and impressive history of the city that surrounds this now peaceful little spot in the heart of the city.